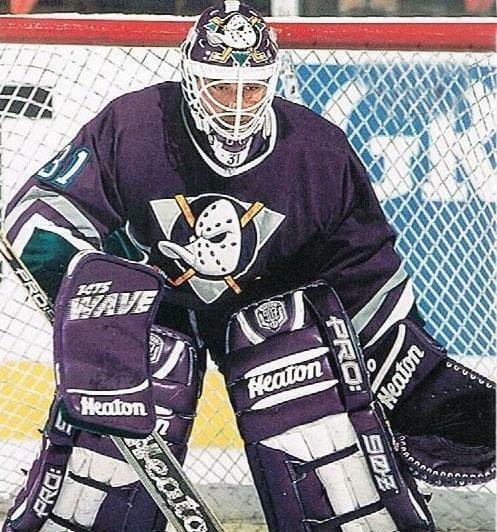 The Mighty Ducks of Anaheim were founded in 1993 by The Walt Disney Company. The franchise was awarded by the NHL on December 1992, along with the rights to a Miami team that would become the Florida Panthers. An entrance fee of $50 million was required, half of which Disney would pay directly to the Los Angeles Kings in order to share Southern California. On March 1, 1993 at the brand-new Anaheim Arena located a short distance east of Disneyland and across the Orange Freeway from Angel Stadium the team got its name, inspired by the 1992 Disney movie The Mighty Ducks, based on a group of misfit kids who turn their losing youth hockey team into a winning team. Disney president Michael Eisner had already said on the December press conference that the film’s success served as “our market research.” As a result of the baptism, the arena was named “The Pond”, and Disney subsequently made an animated series called Mighty Ducks, featuring a fictional Mighty Ducks of Anaheim team that consisted of anthropomorphized ducks led by the Mighty Duck Wildwing.